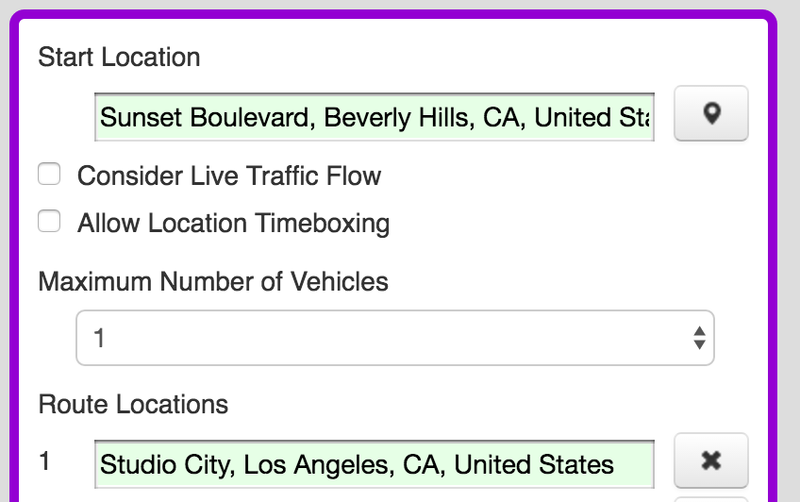 The calculated non-live traffic calculation is shown below. The route loops around Burbank, down to Santa Monica, through Inglewood, makes a loop around downtown, and back to Sunset Boulevard. 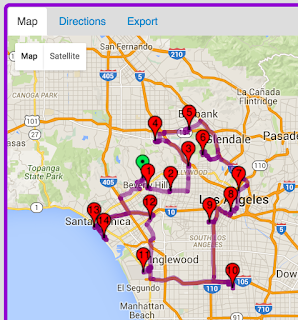 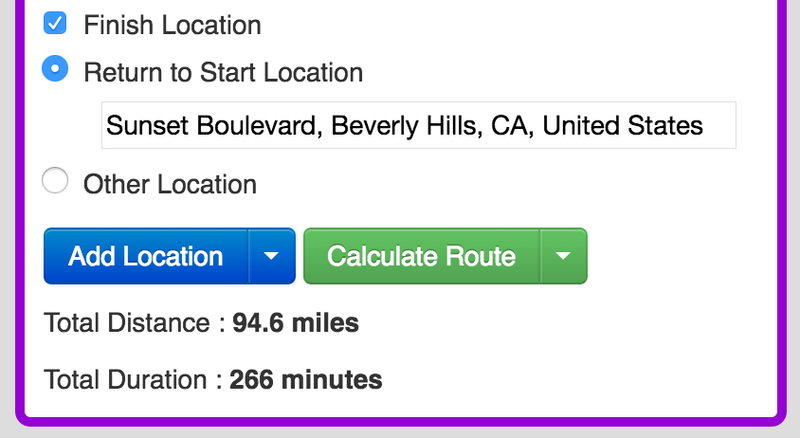 The reported time and distance for the route is 266 minutes to cover 94.6 miles. 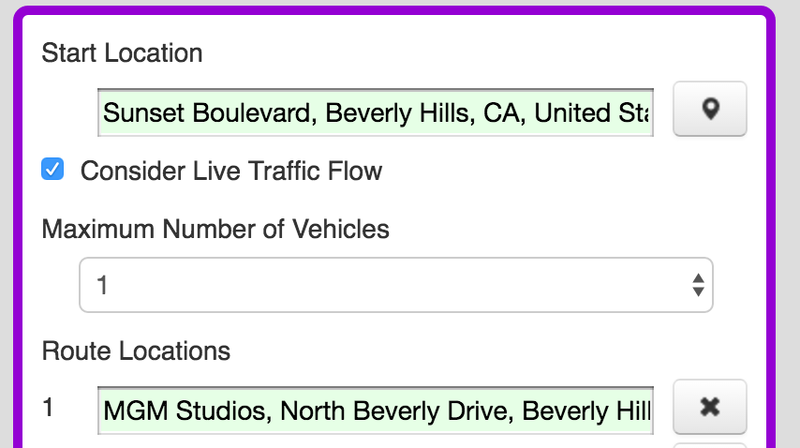 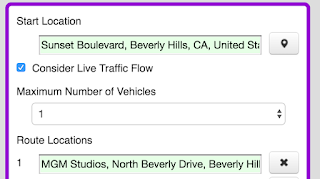 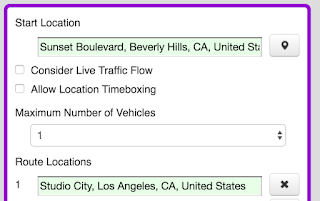 If we select the 'Consider Live Traffic Flow' option, Speedy Route will consider the current live road traffic conditions while calculating the route. 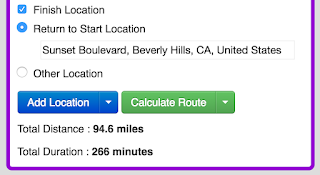 Please note that calculating a Live Traffic Route is computationally more intensive than calculating a regular route, and a Live Traffic Route will take longer to calculate. 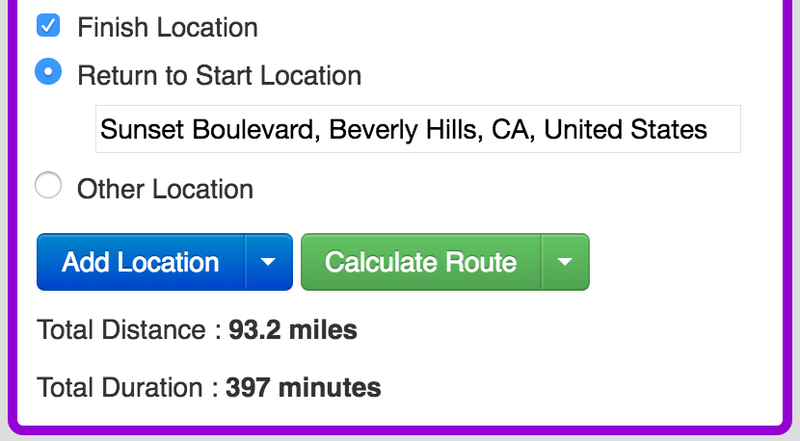 The reported time and distance for the Live Traffic route is 397 minutes to cover 93.2 miles.